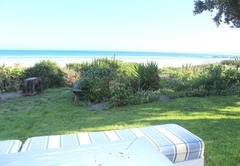 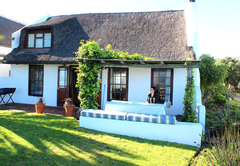 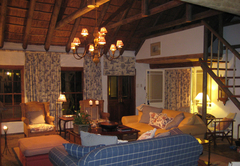 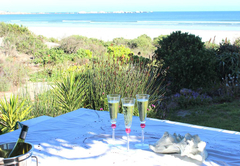 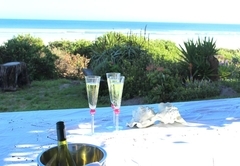 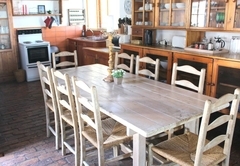 Aqua Blue is a property providing self catering in Paternoster for up to 8 guests visiting the Cape West Coast region. 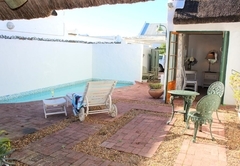 Located in Paternoster, Aqua Blue is a fully equipped self catering beachfront house with a thatch roof and a pool in the courtyard. 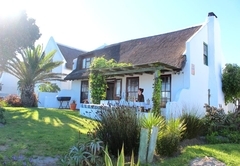 There is a garden and lawn area in front of the house. 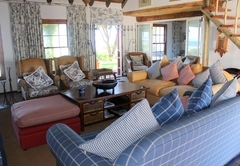 Sleeping eight guests, Aqua Blue has four bedrooms and four bathrooms; it is ideal for four couples or alternatively, for a family. 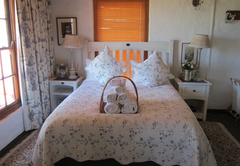 The main bedroom is downstairs and is furnished with a double bed. 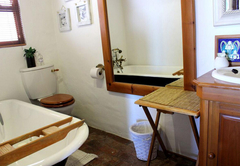 The room also has an en-suite bathroom. 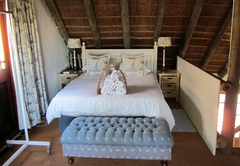 The second bedroom is situated in the open loft area and is furnished with a double bed – this room has a shower room. 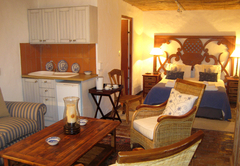 Rooms 3 and 4 are both outside and have an entrance from an enclosed courtyard. 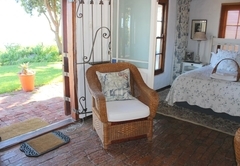 Both these rooms are furnished with a double bed and have en-suite bathrooms with a shower only. 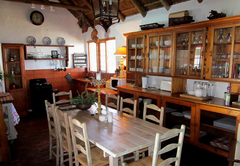 The kitchen is equipped with a fridge / freezer, microwave, electric stove, kettle, toaster, iron and ironing board. 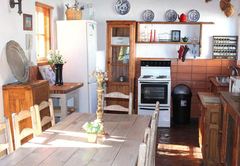 A starter pack of coffee, tea, sugar, shampoo, two toilet rolls and hand wash will be supplied. 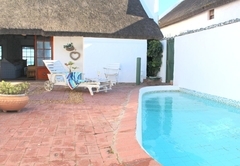 Absolutely fabulous 4 bedroom 4 bathroom thatch beachfront house with a splash pool. 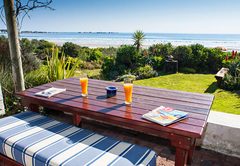 This house is loved by the owner so only the best finishes and fittings come standard with this truly magnificent beachfront property. 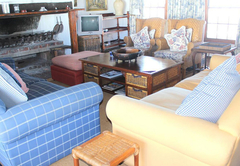 Response timeAqua Blue typically responds to requests in 5-10 minutes.